Sugar is something that drives us. It’s a craving that must be satisfied once awakened otherwise your day won’t feel complete. When you’re desiring something sweet, it’s normal to run to Walmart to grab a sleeve of Reese’s or to stop by Dairy Queen for an overpriced blizzard, but Stephenville has more to offer for your hankering. Don’t settle for proximity. 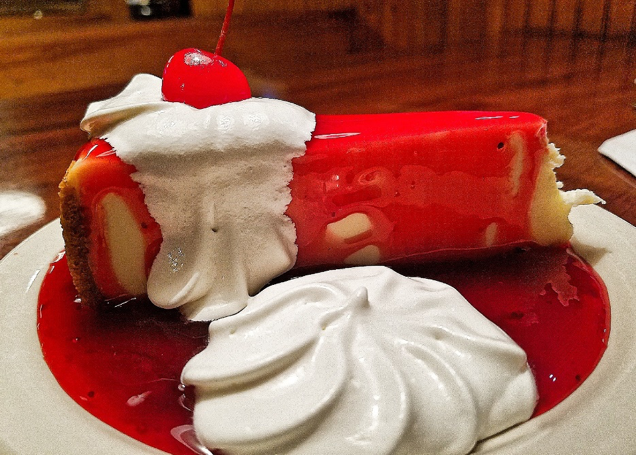 Give your craving what it deserves: one of the best desserts in Stephenville. 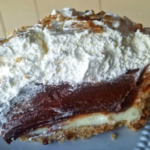 It is a well-known fact that Jake and Dorothy’s Café know how to make a mean pie. Almost every slice is delicious and impossible to regret. But there’s one pie that stands out above the pack and that’s their Triple Chocolate Delight. It is a pie of perfection. A graham cracker and crushed pecan crust crumbles with every piercing of the fork, falling apart on the plate before being scooped back up for the next round. A hearty layer of chocolate filling sits atop a thin coating of cream cheese, making each bite just as savory as the last. Stacked high with whipped topping and a light dusting of pecan pieces, this pie is hard to beat in Stephenville. Many things factor into what makes a good cheesecake: its richness, consistency, crust, and density. Rarely do you find one that excels in all categories, but Montana Restaurant has managed to come close. Biting into their cheesecake, you’re surprised by a light buttery richness that isn’t overpowering. As you crowd a dollop of whipped cream onto your already full fork, an airy taste gratifies your tongue. Though their graham cracker crust isn’t as thick or crumbly as one would like, it’s hard to deny that their cheesecake is superb. 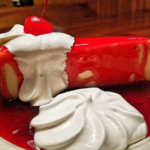 Be cautious when selecting a topping, as they tend to drown the cheesecake in strawberry sauce. Just like a snowflake, all cookies have a different taste, texture, and composition. It’s rare that you come across the perfect one, but walking into Big O’s Simply Delicious opens that door to excellence. 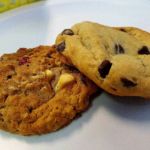 Their chocolate chip cookies are silky and delicate, with every inch abundantly filled with melted chocolate chips. Just when you think a recipe couldn’t be any more flawless, their Cherry Jubilee cookie leaves you in awe. This gooey oatmeal masterpiece splits apart while the taste of cinnamon and melted white chocolate overwhelms each bite. To give the cookie its full potential, ask for them to be heated. Big O’s has more to offer than just cookies. Their wide variety menu satisfies almost every craving. 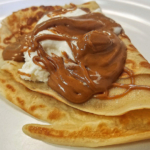 If you’re in the mood for something sweet and unique, order a crêpe with Biscoff and whipped cream. With the consistency of peanut butter, Biscoff cookie butter is a teddy graham flavored garnish that is the definition of smooth and creamy. Slathered atop a thin layer of folded pancake, Biscoff creates a dessert like you’ve never had before. Cheesecake is pure perfection, so why fix something that isn’t broken? You would think that by deep frying it, cheesecake would be something else entirely. You would be right. 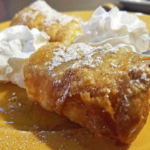 Mi Familia’s fried cheesecake isn’t your run of the mill dessert. Its golden fried exterior provides protection for its warm creamy filling. When the side of your fork cuts into the cheesecake’s core, its innards emerge, so it’s best to tackle this creation with your hands. Sprinkled with powdered sugar, the taste of sweet cream cheese mixed with flakey breading creates a rich masterpiece.